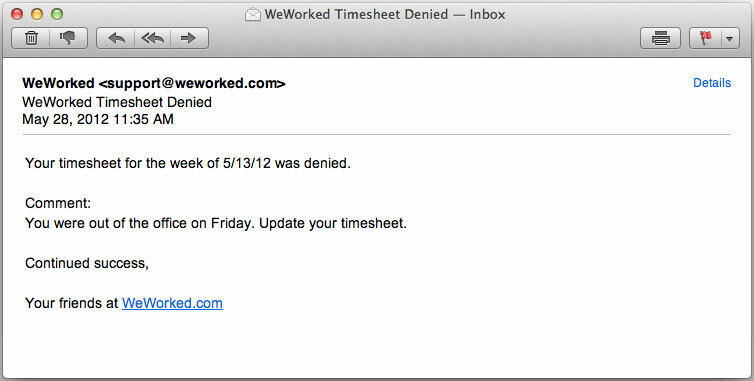 Alert people when their timesheet is denied. Deny a timesheet and the person is notified instantly. Add a message to explain why, and it will be included in the email.